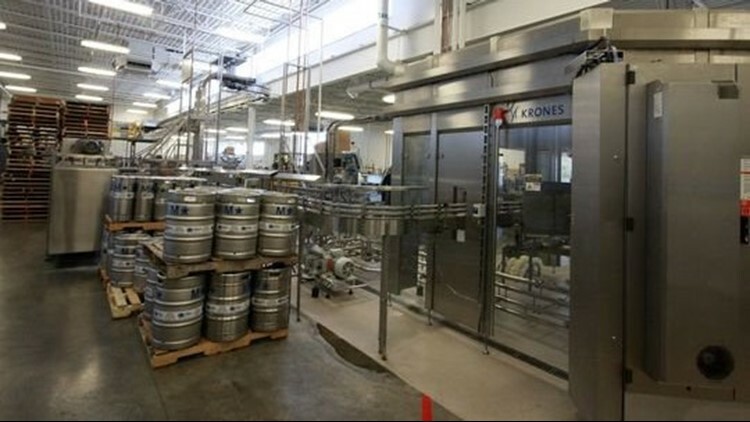 Arcadia's Kalamazoo location opened in spring 2014 and includes the main brewing operations. 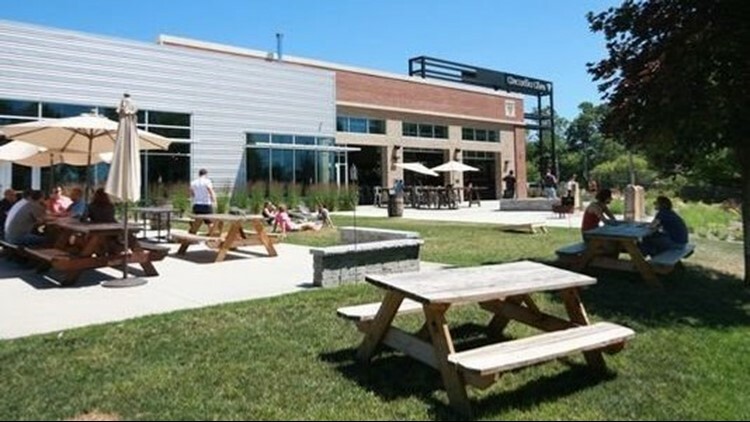 KALAMAZOO, Mich. - Arcadia Brewing Co. faces a foreclosure sale this month at its riverside brewery, taproom and barbecue restaurant in downtown Kalamazoo, according to a public notice. More than than $1.4 million is owed on the mortgage, and the sale is set for a public auction 10 a.m Dec. 20, according to the notice filed with the Kalamazoo County Register of Deeds. But brewery founder and president Tim Suprise said in an email that plans are underway to "fully develop one of two bona fide opportunities for a strategic partnership that would not only enable Arcadia to thrive but to grow and develop beyond our existing location and footprint. "In fact I am more optimistic about our future at this point moving forward that I have been in (some time) and I will be happy to share more details when I can but suffice it to say that Arcadia and our brand is poised for continued viability and growth," he said. He declined to specify what kind of plan is underway. Arcadia's Kalamazoo location opened in spring 2014 and includes the main brewing operations. The brewery's original Battle Creek location, opened in October 1996, closed in September 2017. And last October, the brewery partnered with a restaurant group to open Arcadia Smokehouse, a brewpub serving barbecue in Lansing. Arcadia Brewing Co. makes seven year-round beers including Hopmouth (8 percent alcohol by volume) double IPA and Mango Suprise (6.5 percent ABV), an American IPA made with mango. It's also known for its winter-seasonal Porter Rico (5.5 percent ABV) American porter made with coconut and bourbon-barrel-aged beers such as Shipwreck Porter (12 percent ABV). The brewing company also owes about $96,000 in 2016-2017 taxes to Kalamazoo County, said Treasurer Mary Balkema. "As a community, we are really, really (heartbroken) over it," she said of the planned foreclosure sale. "He's a great, stand-up guy. Super community-minded. And you know what? It was a great addition to the city, and so no one is happy about this." She said Suprise is "well-liked" and did "a huge clean-up job and a lot of beautification" with the brownfield redevelopment. "It may be the perfect storm," Balkema said. "I think we have 14 breweries in Kalamazoo County." But she added that Suprise is "hopeful, and we're hopeful as well that he can turn it around with a group of investors." Arcadia Brewing Co. posted a statement Wednesday on Facebook describing itself as "a company in transition" at a time when breweries are undergoing acquisitions, consolidations and more across the country. "Our beers, food and hospitality have never been better, and we look forward with confidence to being able to share more details when appropriate of our transition that will position Arcadia to grow and thrive," according to the statement. As the number of craft breweries in Michigan and across the United States more than doubled in 2013-17, competition for shelf space and taps continued to increase. And the smaller breweries have eaten into the market share of massive, corporate entities such as Budweiser owner Anheuser-Busch Inbev, which has far more money and marketing resources than any craft brewery and has bought several of them since acquiring Chicago's Goose Island Brewery in 2011. The number of brewery closures across the country — while a small fraction of the number of new ones opening — also is increasing. And in Michigan, six of the state's 25 largest breweries recorded back-to-back declines for in-state sales volume both of the past two years, according to tax data from the Michigan Liquor Control Commission. Earlier this fall, Royal Oak-based Roak Brewing Co. announced plans to acquire Right Brain Brewery in Traverse City.